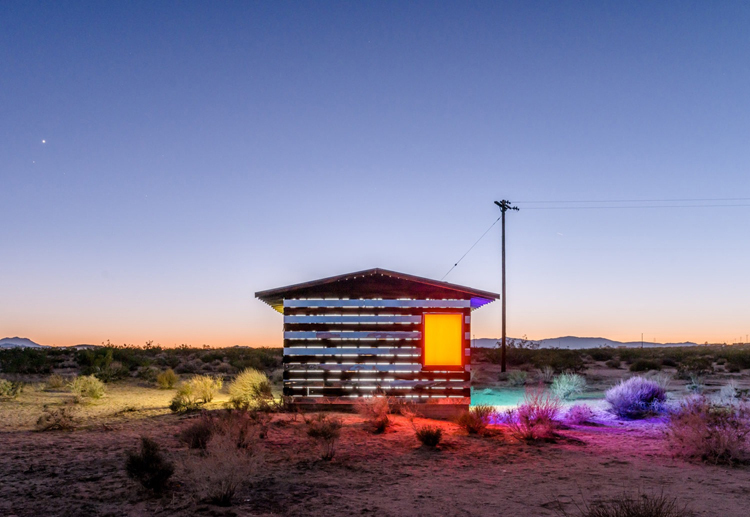 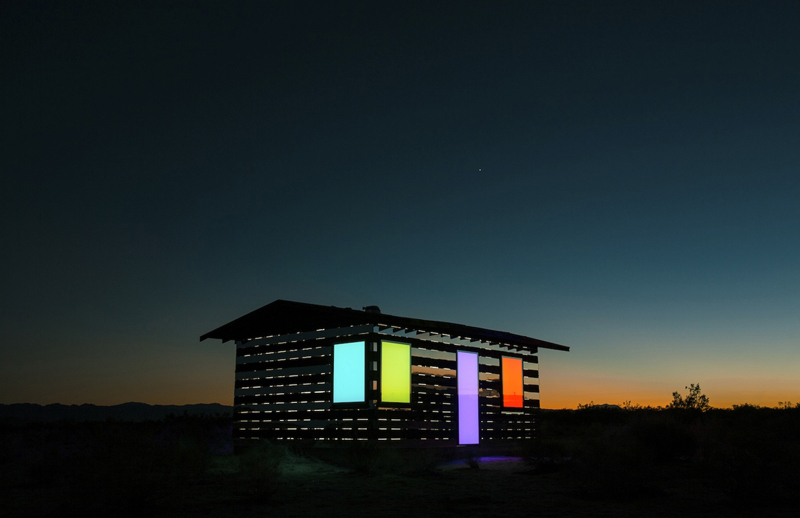 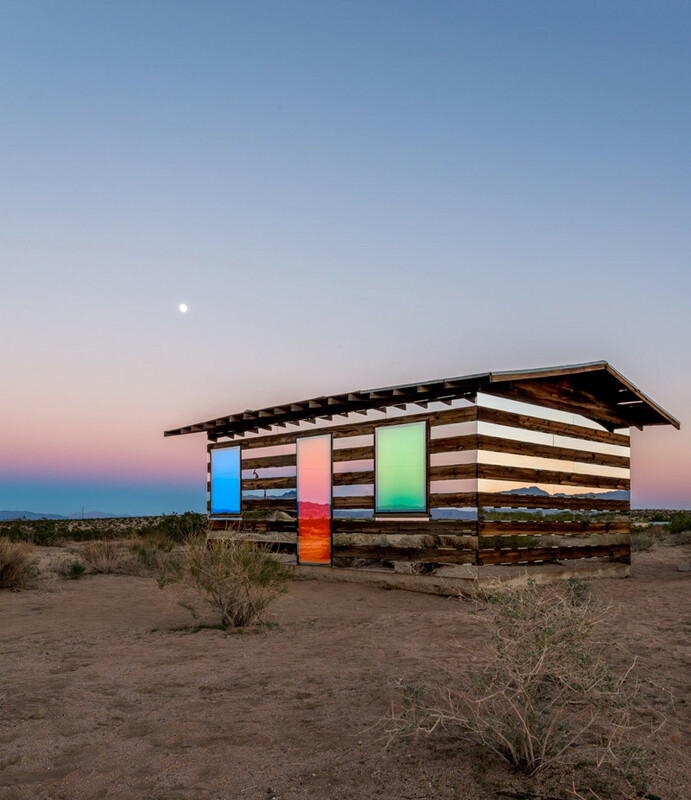 Phillip K. Smith III, has completed a stunning light installation in the middle of the California High Desert, near the small town of Joshua Tree. 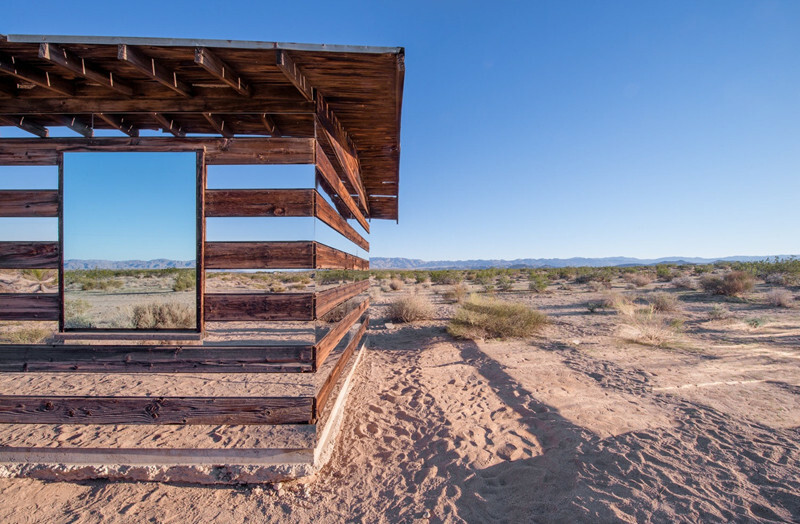 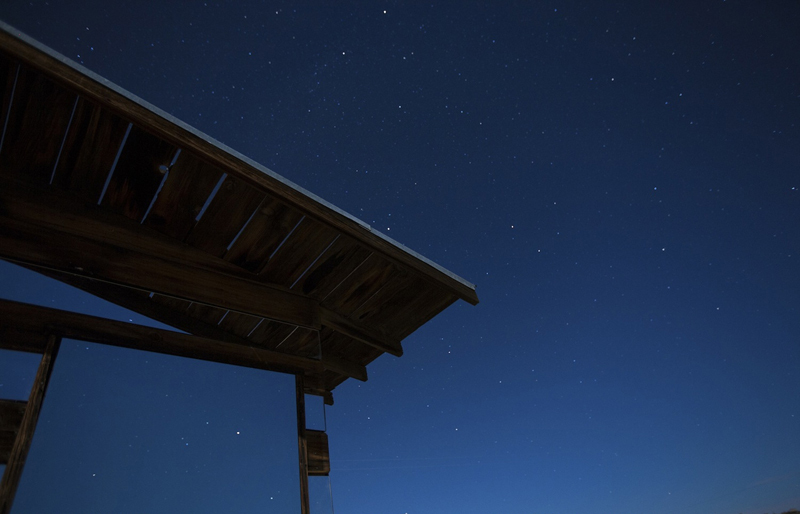 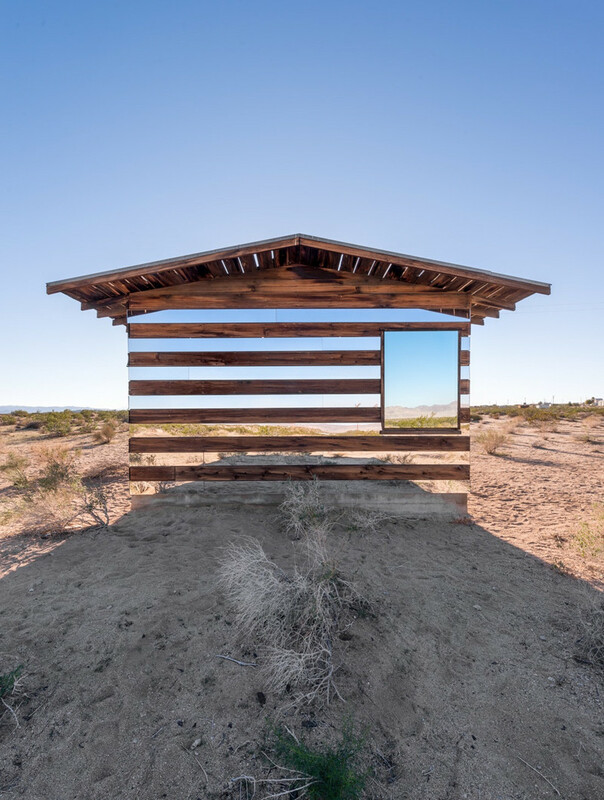 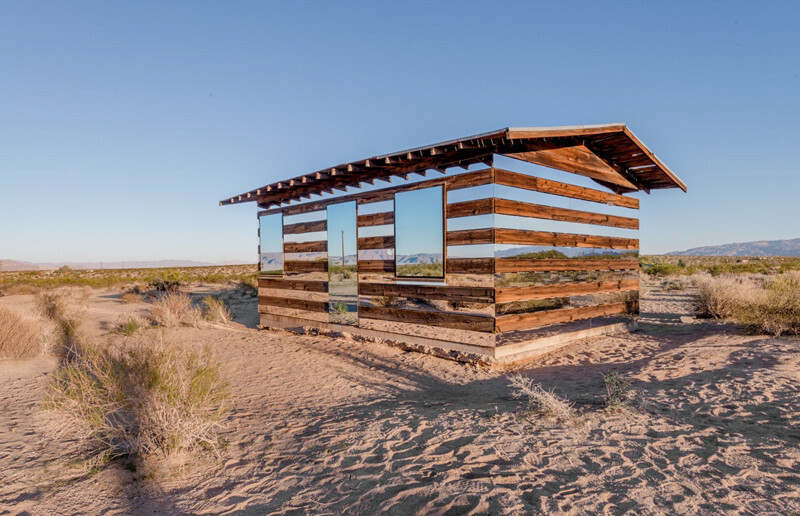 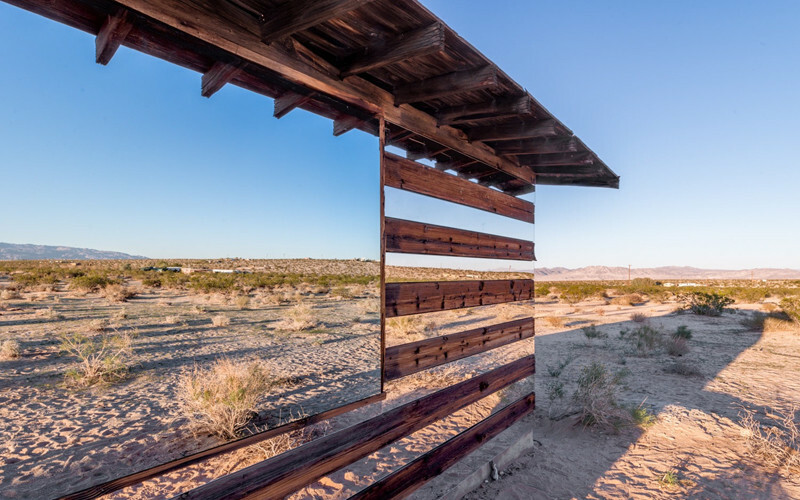 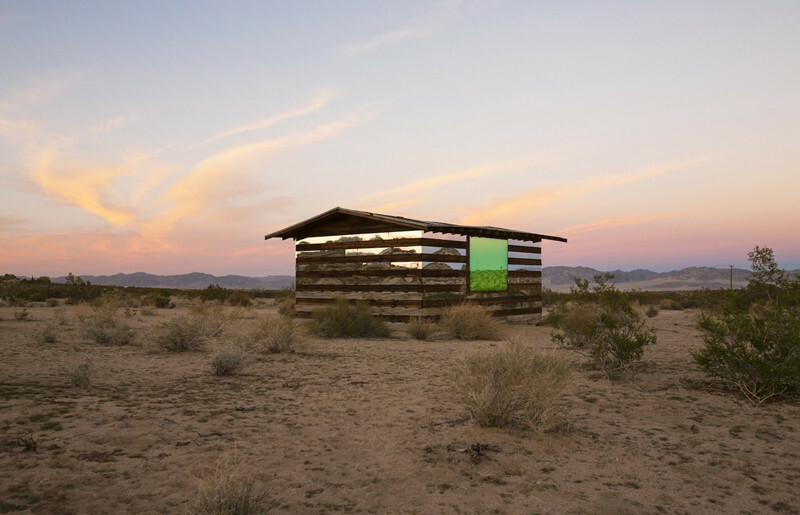 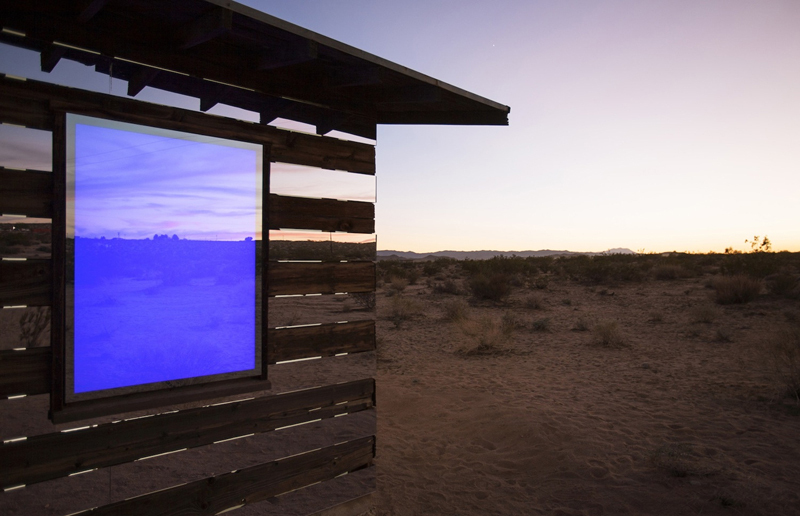 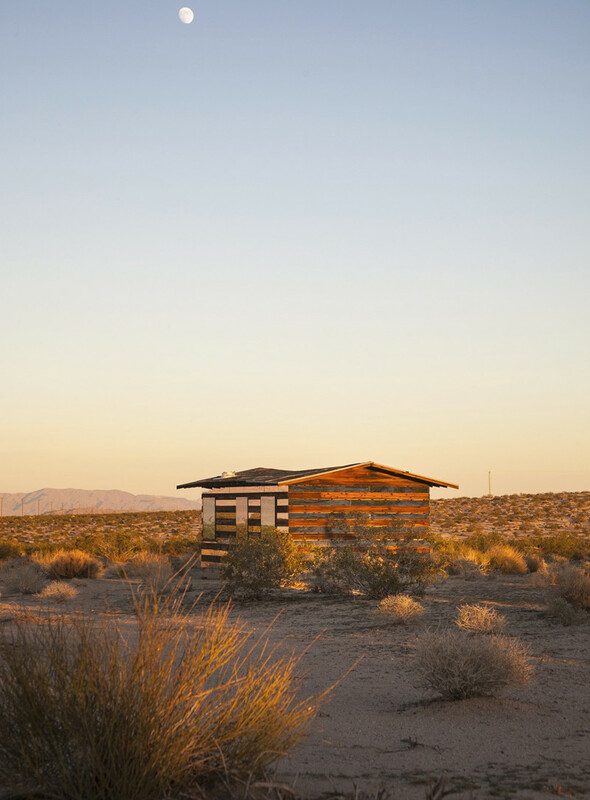 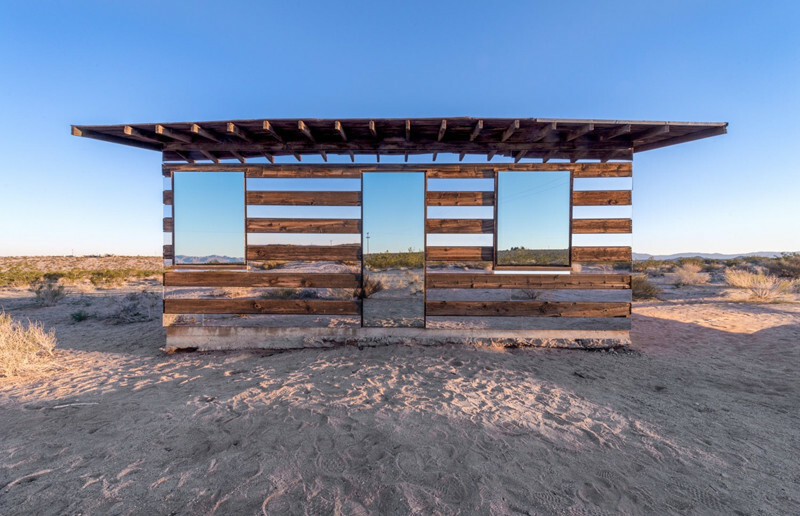 Titled “Lucid Stead” the work is an artistic intervention on a 70-year-old abandoned homesteader shack. 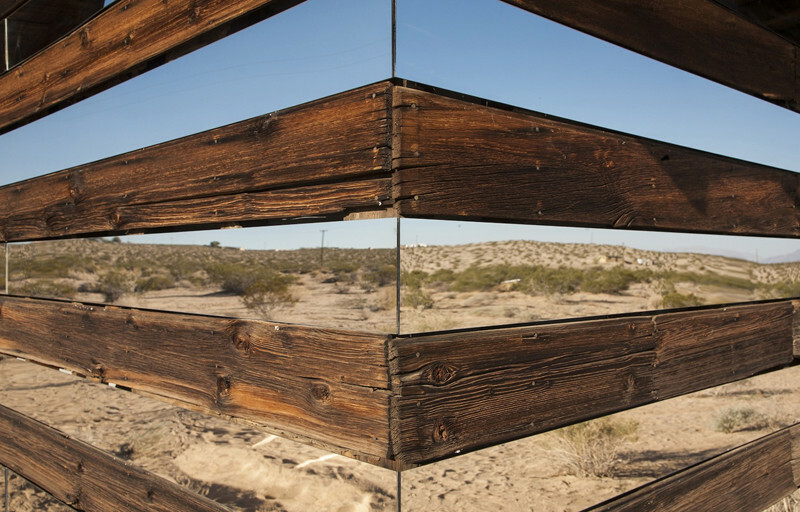 During the day, the structure reflects its surroundings through mirrors. 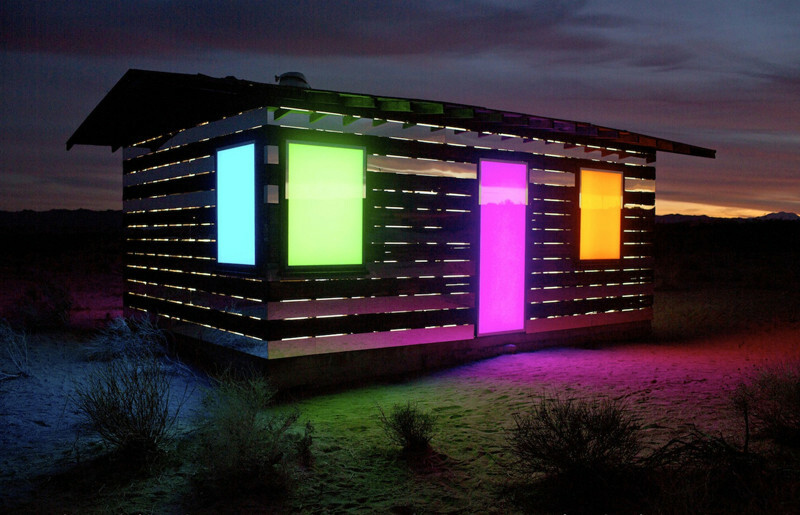 At night, lights gradually start to emanate from the house, becoming a dynamic illuminating presence that projects itself outwards in bold, bright colors.